*Offer valid until 24th December 2018. 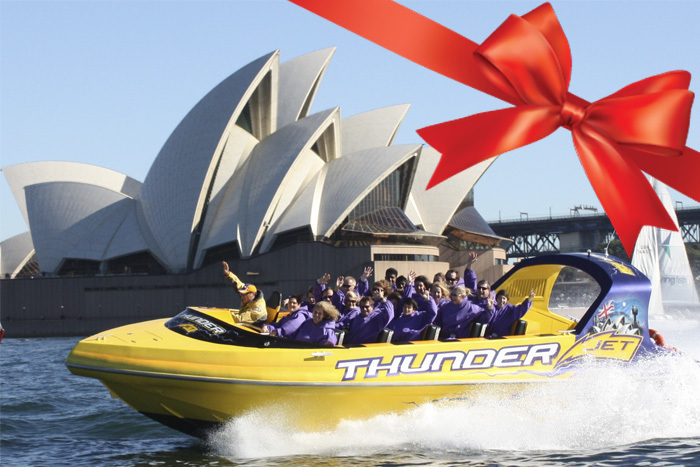 Surprise your loved ones with this Exciting 30 minute Ultimate Jet Boat Adventure on Sydney Harbour! Valid for 1 year from purchase, simply call or book online to redeem the voucher at any time. The “Thunder Jet” Jet boat will take you past the Opera House, Harbour Islands, and the exclusive suburbs of Rose Bay, Watson’s Bay. Then on return we’ll take you past Taronga Zoo and under the Harbour Bridge, by Luna Park Sydney. With Amazing Stunts and Incredible Spins through Sydney Harbour, get set for slides, twists, spins, power brake stops, sweeping fishtails and some really wild wave riding in the best Jet Boats in Sydney!